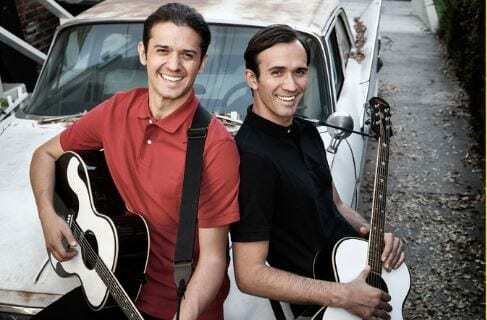 Zachary and Dylan Zmed are bringing an “Everly Brothers Experience” to Largo’s Central Park Performing Arts Center in a performance dedicated to bringing countless hits and classics to life. They’ll be taking the stage Saturday, March 23, at 8 p.m. Tickets can be purchased online or at the door with an extra $5 fee. From their 1957 hits, “Bye Bye Love” and “Wake Up Little Susie” and 1958’s “All I Have to Do Is Dream.” The Everly Brothers Experience make a mark in music by bridging the gap between country and Rock and Roll and ended up in both music genres’ Halls of Fame. They inspired others like The Beatles, Bob Dylan, The Rolling Stones and Simon and Garfunkel to utilize two-part harmony. The Zmed brothers bring the iconic music back to life. For more information and tickets, visit largoarts.com/tickets.